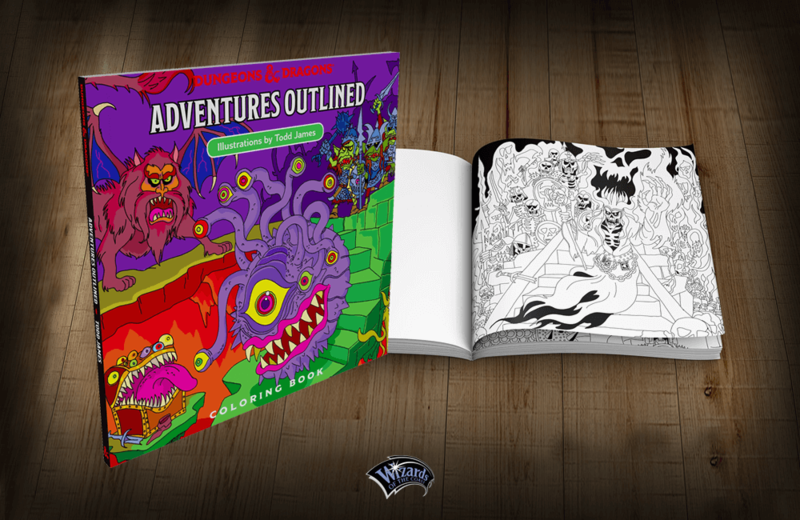 The colouring book is a mix of original illustrations from New York City-based artist, Todd James, and anecdotes from D&D writer, Adam Lee. James’ creative angle on the role-playing game featuresclassic monsters, including beholders, trolls, goblins, and dragons. Dungeons & Dragons Adventures Outlined is set to release in August 2018. It checks in at $16.95 USD and is available for pre-order from a variety of online retailers.